Properties in Wairarapa average 4.6 out of 5 stars. Property 23: Watsons Cottage Rural 4 Kms from town centre. Property 35: 56 on Naples just one min to the square with wifi. Castlepoint - Private family beach home with stunning views capturing the sun. Property 36: Castlepoint - Private family beach home with stunning views capturing the sun. 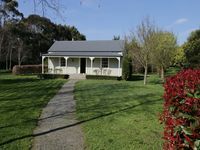 Property 41: Historic Cottage in the heart of Martinborough. Property 44: Luxurious lodge in bush/riverside setting. 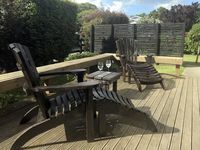 Property 47: 4 Bedroom villa with Spa in Martinborough. A lovely house to stay at . The cottage is so charming and homely. The fire was lovely and as the weather wasn&rsquo;t great it really added to making us feel cosy and at home. Everything we needed was there, we were impressed by how well stocked the kitchen and bathroom are. Thanks again for a lovely stay.